Economics students completing all degree requirements at the end of the Spring or Summer semester may participate in the Econ Convocation Ceremony. The graduating student must register for the ceremony (detailed information will be provided on this website in February and emailed to students throughout the Spring semester). Guest tickets will not be required for the ceremony- we welcome all guests of our students to attend. The ceremony typically lasts 1.5 hours, depending on the number of graduating students. 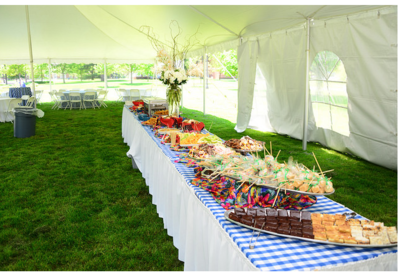 There will be a reception for graduating students and their guests from 1:30 - 3:30 p.m., just prior to the ceremony. Graduating Students must complete the sign-up to attend the Economics Ceremony based on their academic program (Undergraduate, MSPE, or Ph.D). Registration information can be found in the Ceremony section of this website. The Department of Economics has a Convocation Ceremony for all of the Undergraduate, Master's, MSPE, and PhD students graduating. Names of all graduating students attending the ceremony will be read in order by degree. Booklets with all students on the graduation list will be handed out to guests (please note that students who add their names to the graduation list late may not have their names printed in the booklet). Please register for this event (this is separate from adding your name to the degree list). Pre-Check is required for all students participating in the Economics Convocation Ceremony. Information regarding pre-check will be emailed to all students in mid to late April. Graduating students who fill out the Illini Success Survey receive an Econ T-shirt. T-shirts will be distributed during Convocation Pre-Check. You will be able to collect your T-shirt after you take the Illini Success Survey. Open your Illinois email (or the account you forward to) & search for: “The Outcomes Survey” or “Class of May 2019”. Complete the Survey & show us the completed screen (or you may login again and show that you have the survey filled out). Can’t find your unique link? Request a new one at: https://go.illinois.edu/IlliniOutcomes. Still having trouble? Ask us for a paper version in our office (214 DKH) Read more about the survey: http://illinisuccess.illinois.edu/. All students who are graduating need to report to the Armory Building in the track area, located at 505 E. Armory Ave. The North or South ( South located on Gregory Drive) middle entrances of the building will be unlocked. PARENTS ARE NOT PERMITTED IN THE CHECK IN AREA. Please leave all bags and bulky cameras with friends or family. You will not be allowed to carry in bags, only what you can fit in your pockets. Upon arrival, you will see check-in tables in the middle of the track. Check-in is broken down by degree, please look for the appropriate table to check-in. Once checked in, please head to the north side of the track for Convocation line up. Everyone who checks in must be dressed in full regalia, or you will not be permitted into the ceremony. For more information on regalia, please scroll down to the regalia section of this page. Huff Hall will open for guests at 3:30 p.m., and doors will close (no guest admission) during the processional, please arrive by 4:15 p.m.! We would like to remind guests to respect all of the graduates by holding applause until after all names are read so no names are missed. We also ask you remain in your seats during the ceremony! It becomes difficult to direct students during the ceremony when guests block the aisles or move in the front area. Professional pictures are available and students will receive information by email. Your graduate will report to the Armory Building for check-in; only graduates are allowed in this space. Guests should report to Huff Hall. If guests need special accommodations (wheelchair seating, limited mobility, sign-language interpreter, etc. ), please include that information on the registration form. If you have not registered for the ceremony, you can find the form under the "student ceremony" section. If you need further assistance, please contact econug@illinois.edu or smflores@illinois.edu. There will be seating on the floor for those needing special accommodations. Please look for a “Reserved” sign with your family name on it. Academic rental attire is ordered at http://colleges.herffjones.com/college/illinois/. After placing your order, you will have the opportunity to print a receipt. Please present the receipt when you pick up the apparel. More information regarding regalia can be found on the Commencement Website. Student Pictures: GradImages (https://www.gradimages.com/) will take pictures of all graduating students as they walk across the stage and receive their diploma cover. Students should ensure their contact information is on the back of their reader card and GradImages will send students an email with information on the pictures and a link to view. GradImages pictures are for purchase. ***Due to high traffic and GradImages taking photos, we encourage family and friends of graduates to remain seated during the entire ceremony. Anyone who tries to come up to the stage will be escorted back to his or her seat. Additional information on certifying your degree and diplomas are below. At our Convocation ceremony, you will receive a diploma cover, your diploma will be mailed. The University establishes a degree certification date following the completion of each term. If you are on the graduation list you must complete all degree requirements—including requirements to formally announce your candidacy for a degree—by the degree certification date for that term. It typically takes the college 2 months after the end of the semester to certify degrees and mail the diploma. Please contact the college if you need something certifying your completion and expected diploma. We also recommend using your DARS if your employer/grad program will accept the unofficial report prior to the degree being confirmed. All University of Illinois graduates with no outstanding University charges will receive one diploma per degree earned, free of charge. University of Illinois diplomas are 8.5 x 11 inches and sent by first-class mail to a student's "Diploma Address" approximately nine weeks after the date of award. Please check and update this address in the University system (self-service) before leaving the University. If the diploma is returned to the Office of the Registrar, you will be responsible for providing a corrected address and paying for any forwarding mail charges as well as processing fees. If your diploma is not returned to the Office of the Registrar and 90 days from the mailing date has passed, you will be responsible for providing the correct address and paying for the cost of the replacement diploma. University of Illinois' policy prevents mailing a diploma if the student has a past-due account. You may contact the University Student Financial Services and Cashiers Operations with questions about your account balance. Once your account had been cleared, you will need to contact the Office of the Registrar by phone at 217-333-6383 or email graduation@illinois.edu to let us know that we can order and mail your diploma. Questions about your diploma may be answered by the Office of the Registrar. The University-wide Commencement Ceremony will be held May 11th, 2019 at 9:30 a.m. at Memorial Stadium. 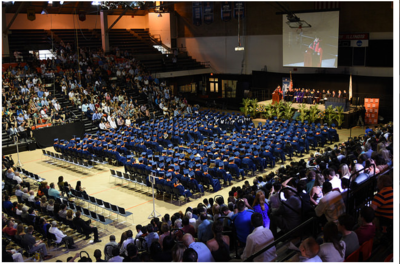 Information about the University-wide Commencement Ceremony, and other related information (including congratulatory ceremonies and special receptions) may be found on the Commencement Website: commencement.illinois.edu.